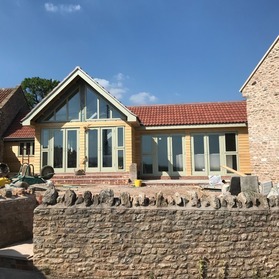 NH Building and Carpentry offer a wide range of building and carpentry services for domestic customers throughout Bristol, Weston-super-Mare and North Somerset. 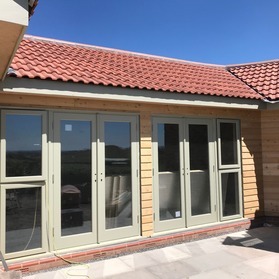 Loft, garage, barn or external building conversions are a great way to add more value to your home. 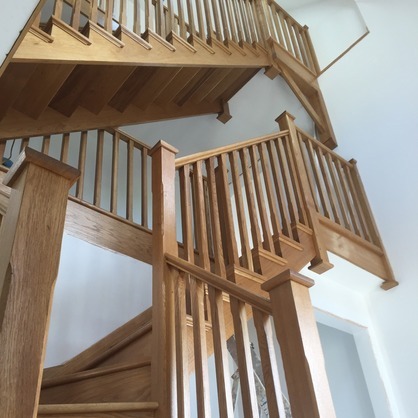 NH Building and Carpentry are able to undertake any house renovation, large or small. 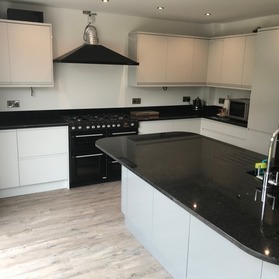 All aspects of kitchen and bathroom installations undertaken from a work top replacement to full kitchen or bathroom refit. Total refurbishments for properties which require an update. We can project manage all work from refitting kitchens and bathrooms to plumbing and electrics. 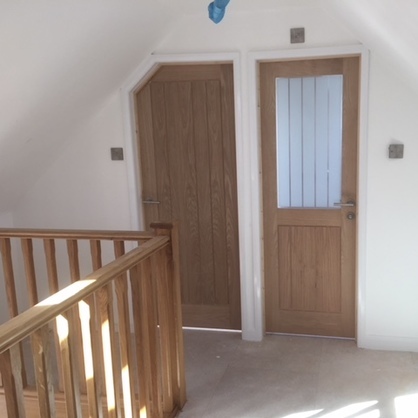 The home owners in this property chose as as the builder to undertake the replacement of doors and staircase in their three-storey house in Lympsham. 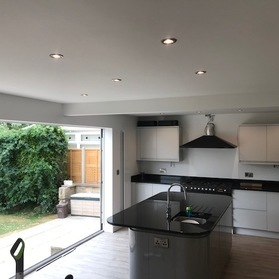 NH Building and Carpenty built an extension on the side of this Worle based property, relocated and fitted a new kitchen including all heating, plumbing, electrics and plastering. 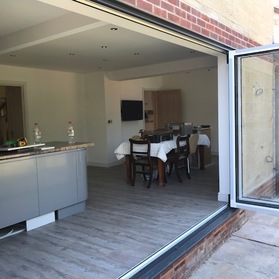 Additionally we took out the back of the house and put in a set of bifold doors. 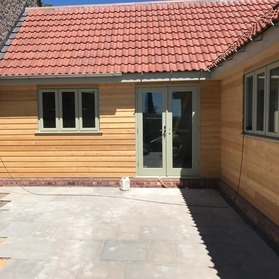 We were asked to do all the cladding and carpentry for a new build property in Westbury sub Mendip. This included doors, windows, staircases, skirting and architraves.